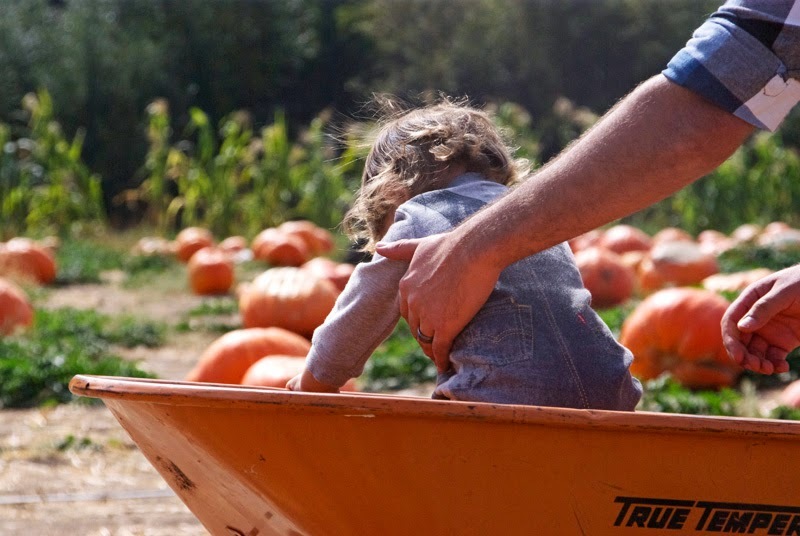 the last time we went to the pumpkin patch, river was exactly one month old. he was scrawny and pimply and basically cried the entire time. socks kept falling off his tiny, little, freezing feet. 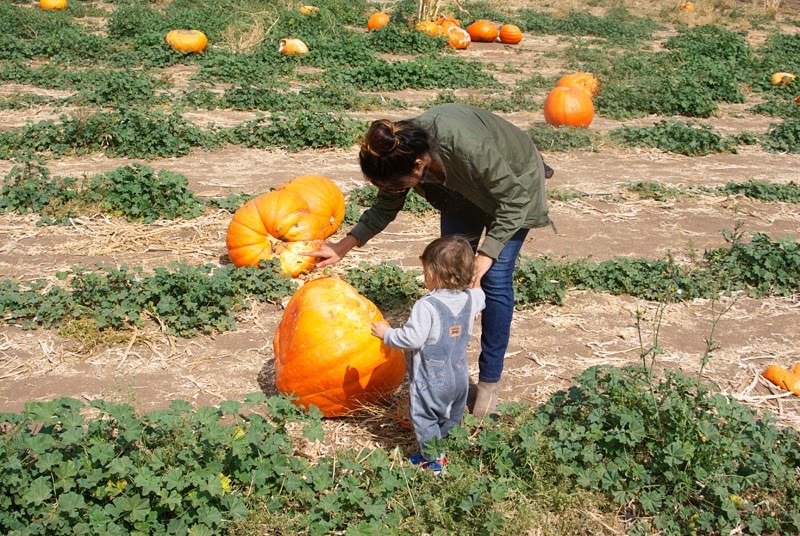 we had to change his diaper on a picnic table - which practically mortified hank to his death - and we neglected to even buy a pumpkin. this year, river is 13.5 months old. he is sturdy and independent. that day, he cried only when he couldn't walk everywhere on his own. we forwent the socks altogether and ended up with sweaty, stinky, toddler feet. we did end up changing his diaper in the back of our car - not embarrassing at all for hank, the pro. we didn't buy a pumpkin this year either. 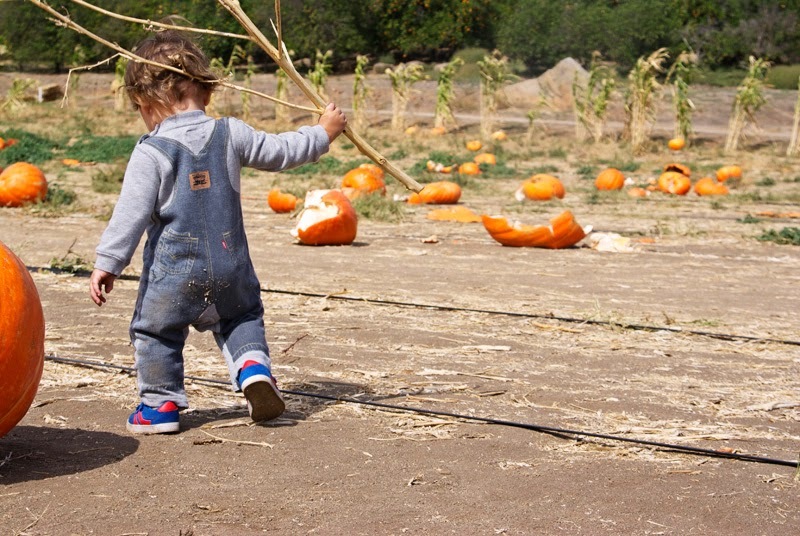 we did have a marvelous time walking through the rows and rows of pumpkins. it was a quiet weekday at the patch and it almost felt like we had it to ourselves entirely. 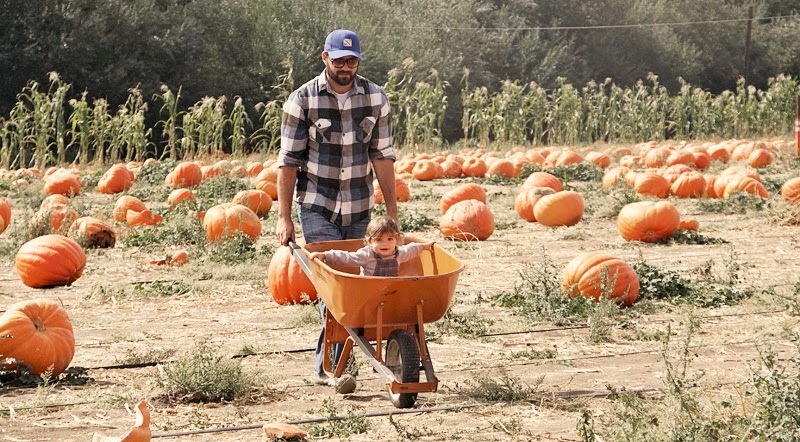 i'd be ok living on a pumpkin farm with my family of three, oh yes, i would indeed. he's so cute! congrats on the new casa! I am so glad you're blogging again, I have honestly missed you! 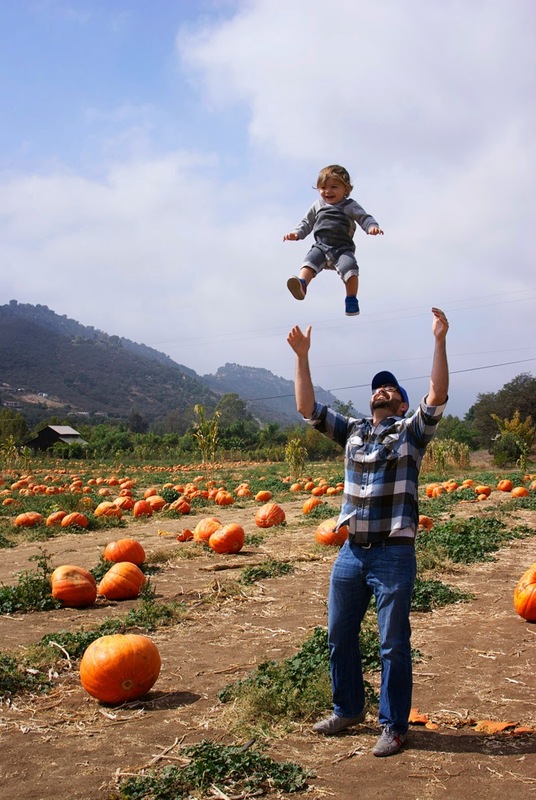 he is so darn cute, love the pic of him up in the air!